This Verragio gold and diamond wedding band, from the designer's Insignia collection, twists, turns and makes wonderful use of gemstones to create a most memorable piece of jewelry! Its pretty profile shows off French bead scrollwork and bezel-set diamonds. You may also select to have the ring finished in platinum. 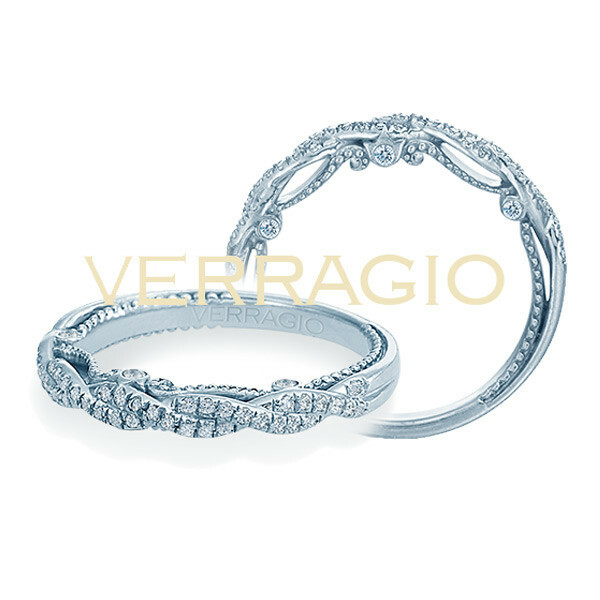 Make this Verragio wedding band the ultimate symbol of your union today!